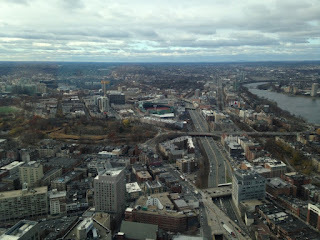 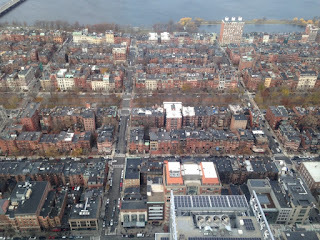 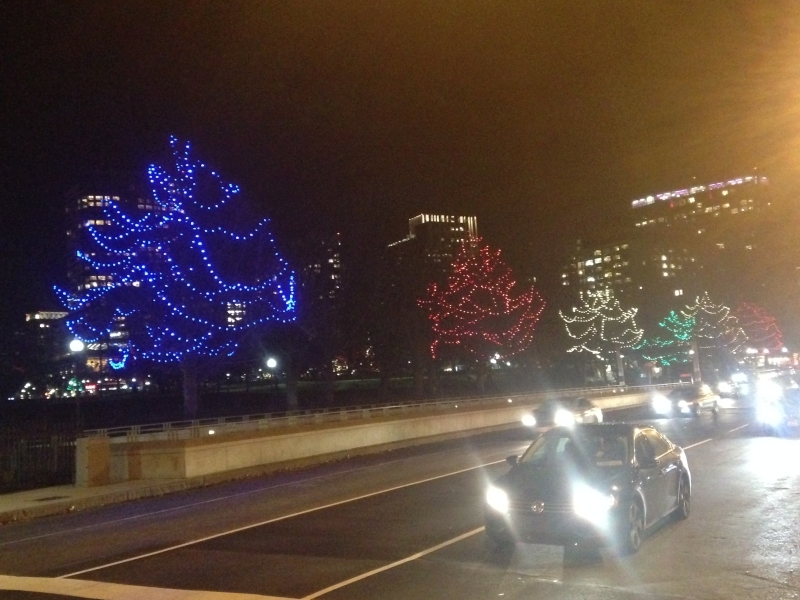 So this was my second time in Boston. But this time it was a longer layover and a better opportunity to explore more of the city. Arriving at the end of the afternoon, we went for dinner in Dig Inn Restaurant at Boylston St. 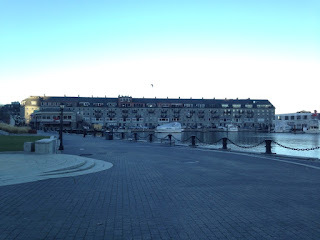 Although this is not the typical restaurant (you will probably have to share your table with strangers), the food concept is really interesting and worth a try. The next day we took breakfast in Tatte Bakery at Beacon Hill District (I still prefer the Thinking Cup mentioned on the previous Boston post...) and started our tour with Trinity Church paying $7 for the admission. 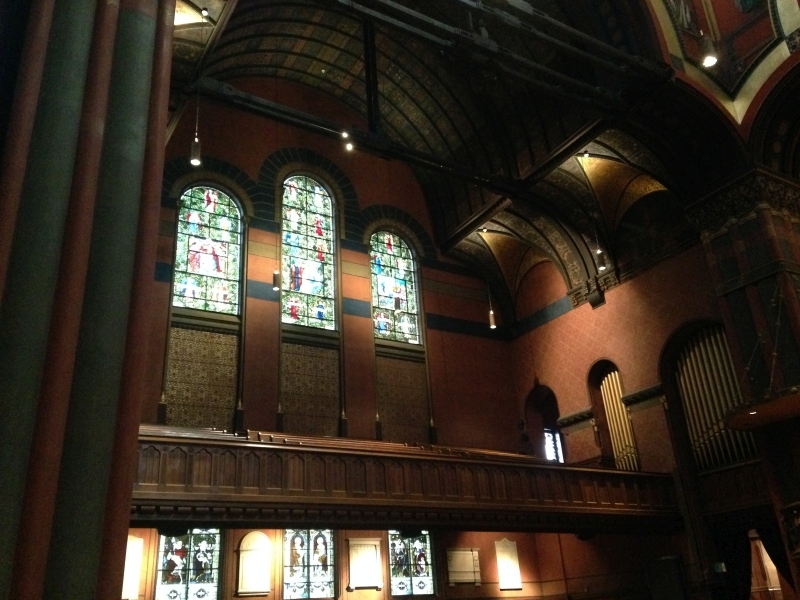 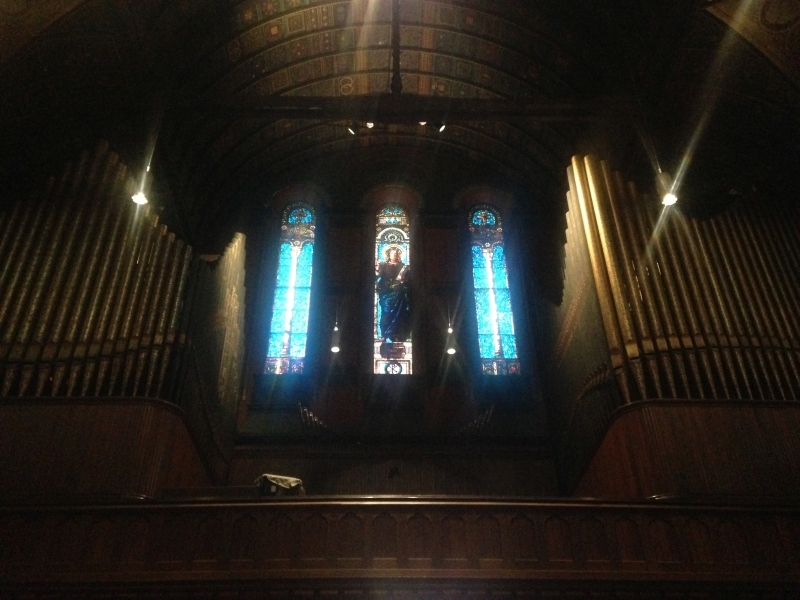 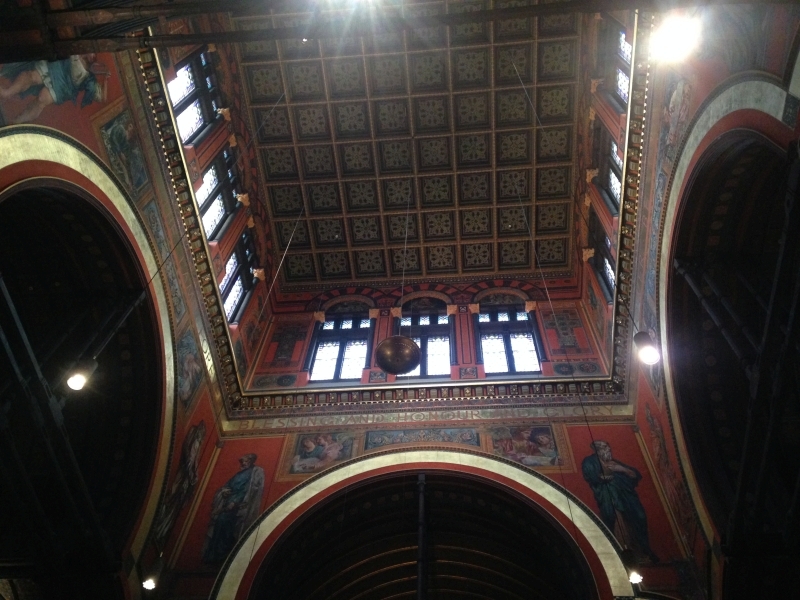 This impressive Church was built between 1872-77 and its windows feature a beautiful stained glass collection. The Church qualifies as a National Historic Landmark. 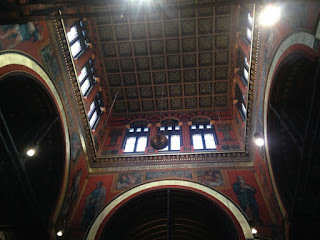 Definitely, this is a richly colored interior! 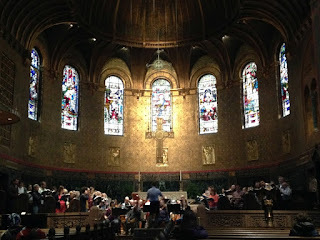 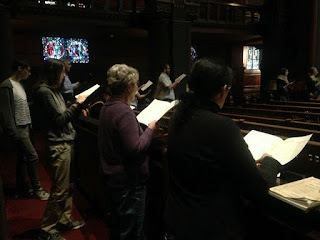 At the same time of our visit, a choir was practicing. 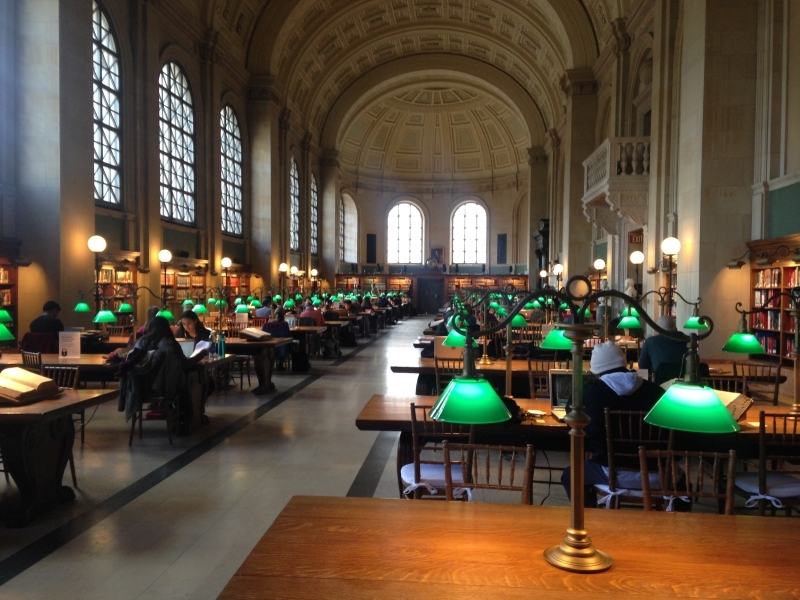 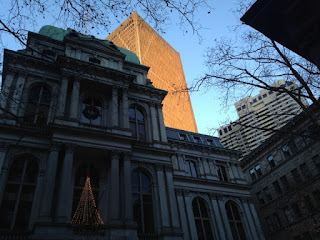 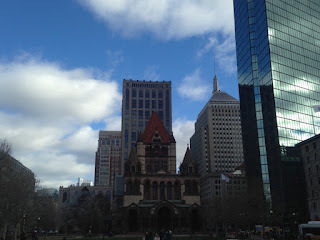 Our next stop was the Boston Public Library, just in front of Trinity Church. The entrance is free but don't forget to keep silence! Then we proceeded to the Prudential Center. 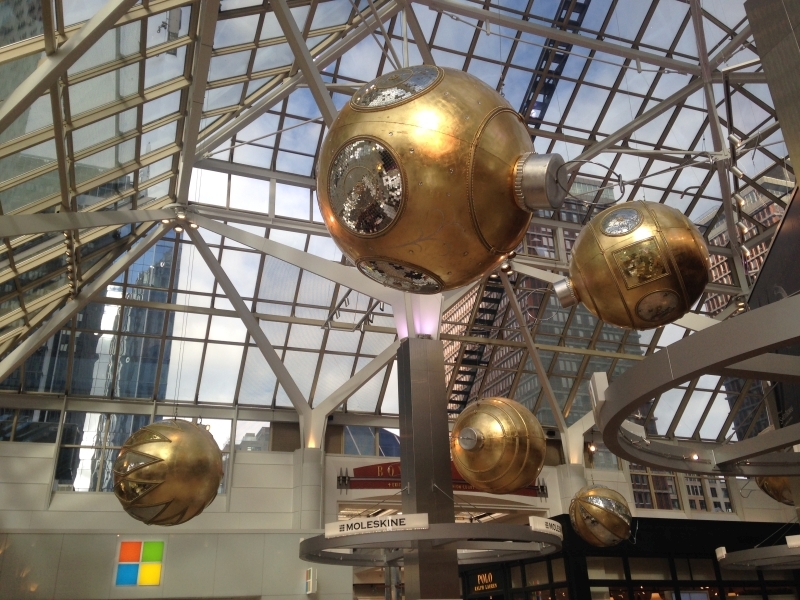 It was Christmas time so it had proper decoration. 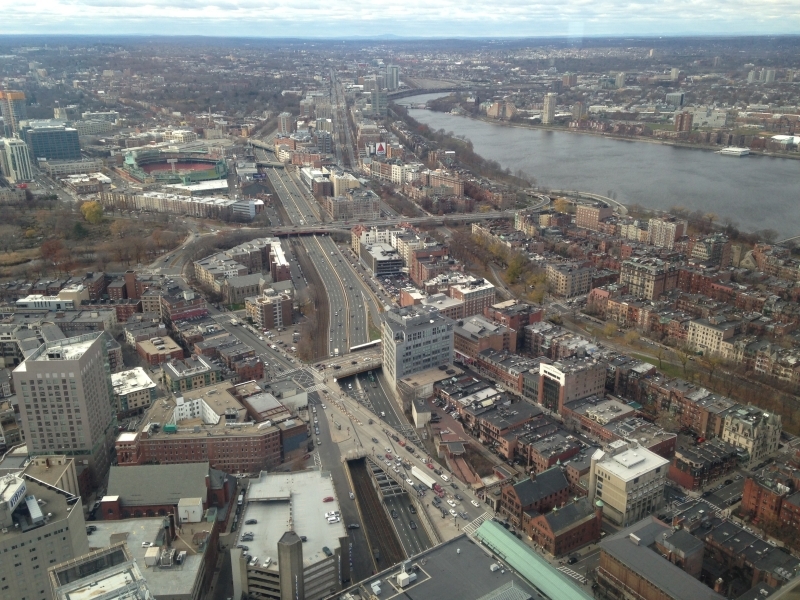 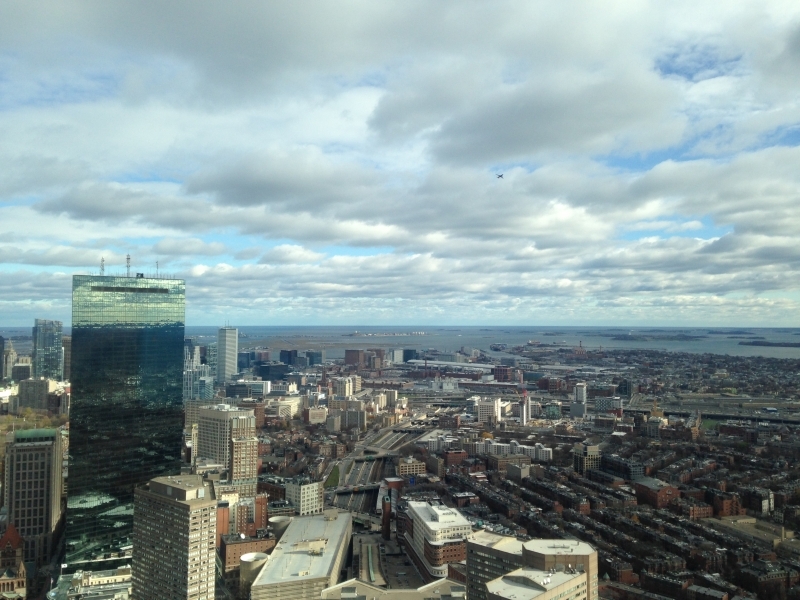 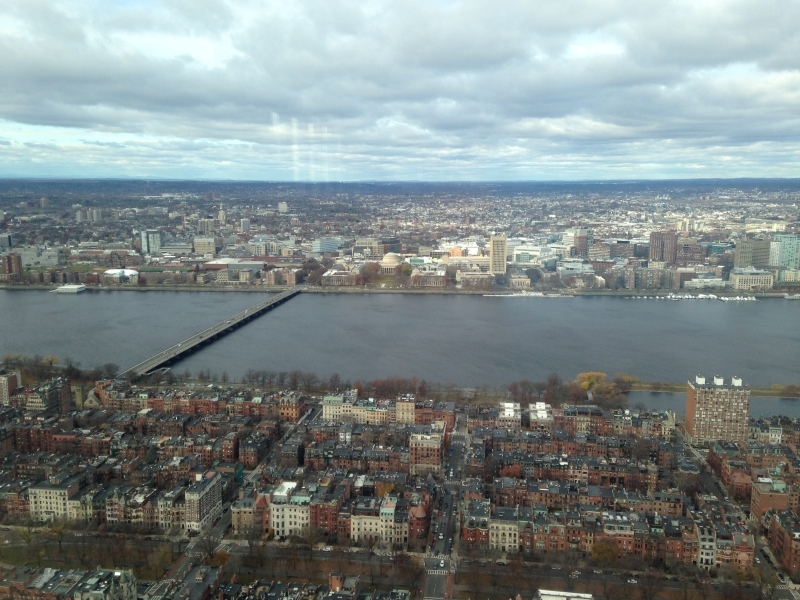 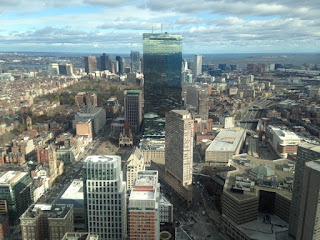 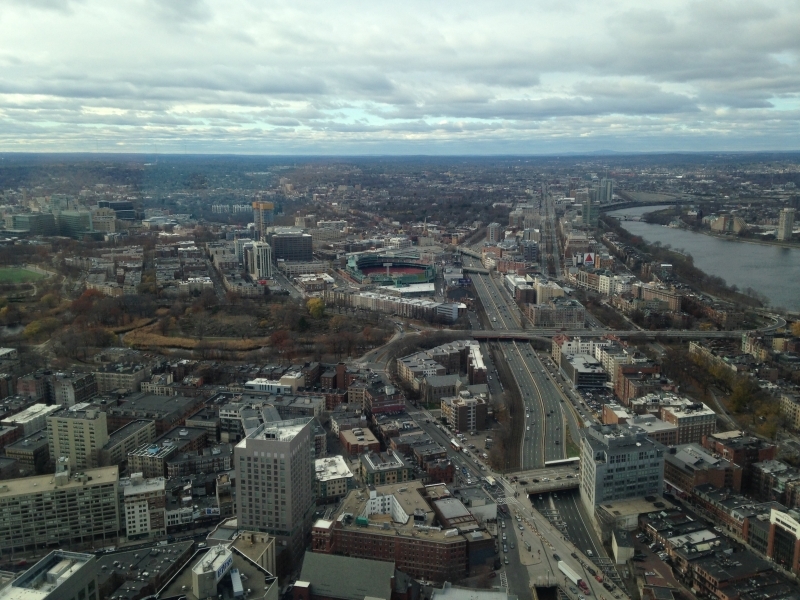 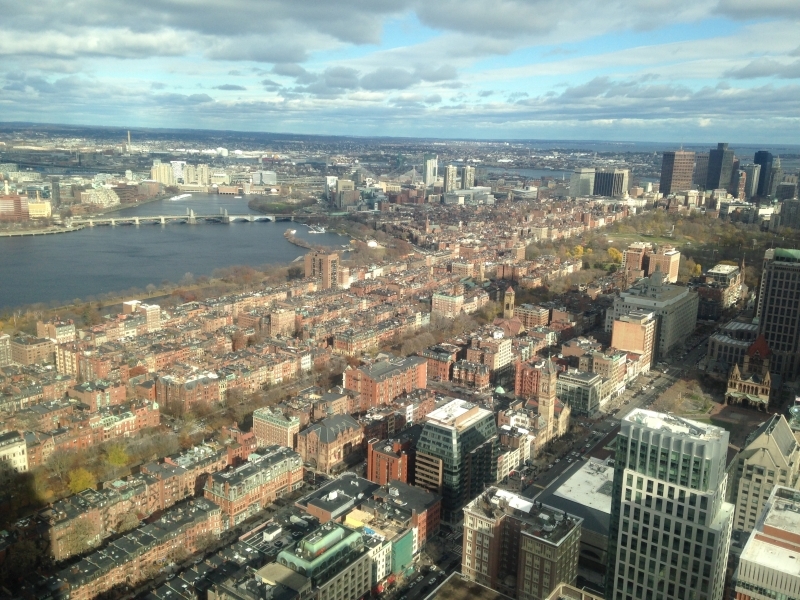 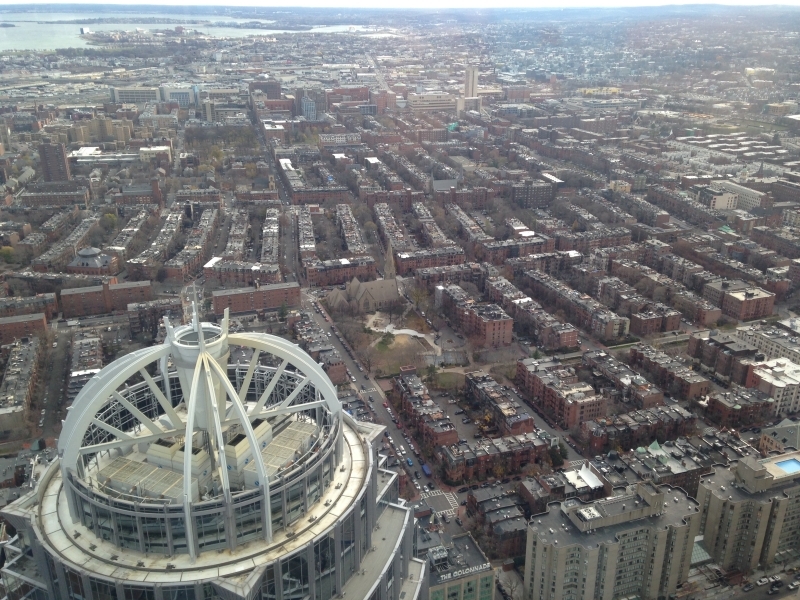 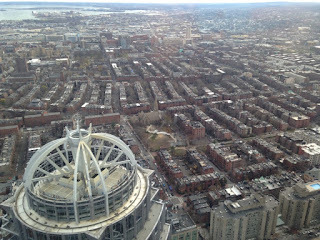 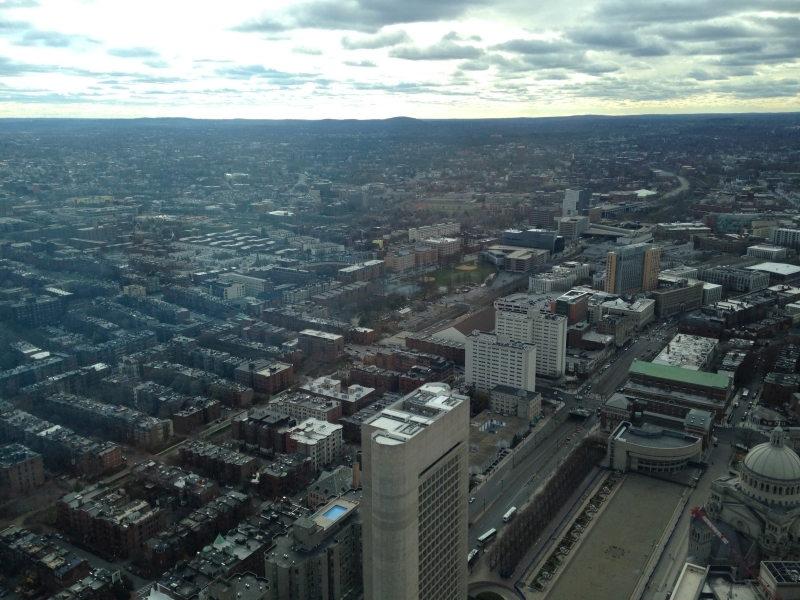 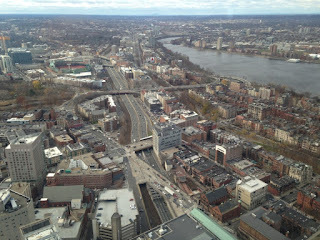 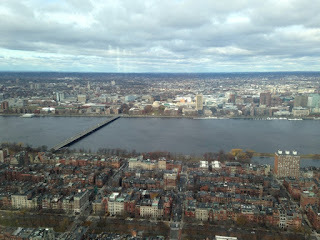 The Skywalk Observatory gives you a unique opportunity to get a 360º view of Boston at a cost of $18 for adults - it's really worth it! 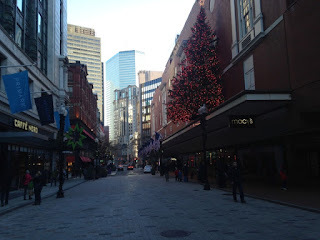 Near Prudential Center you will also find an Apple Store for those who are fans of the brand. At night we crossed the entire Boston Common and ended up having dinner in Fajitas & 'Ritas Restaurant which we really enjoyed. 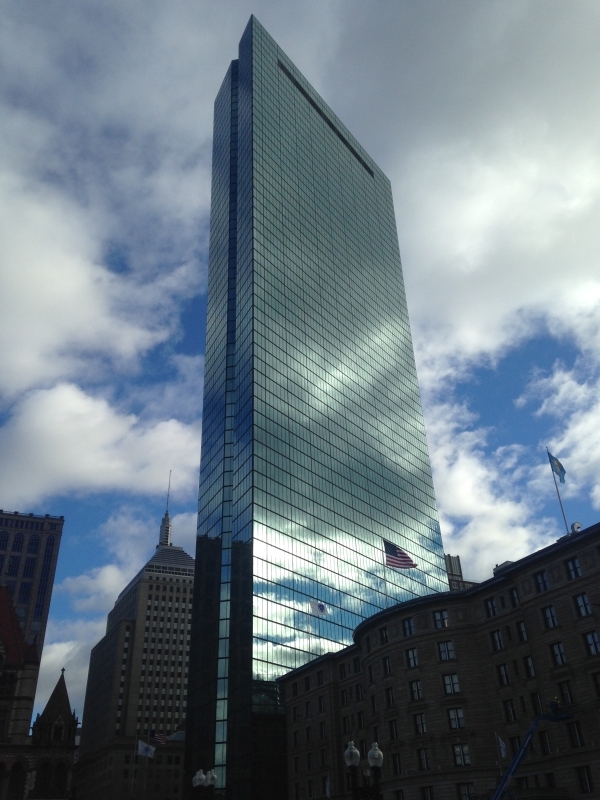 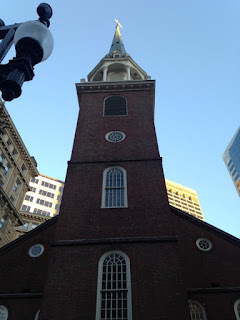 On day three, I was alone and made my own tour, finding new places that I wanted to explore since my first layover in Boston and getting a more detailed view on repeated ones. 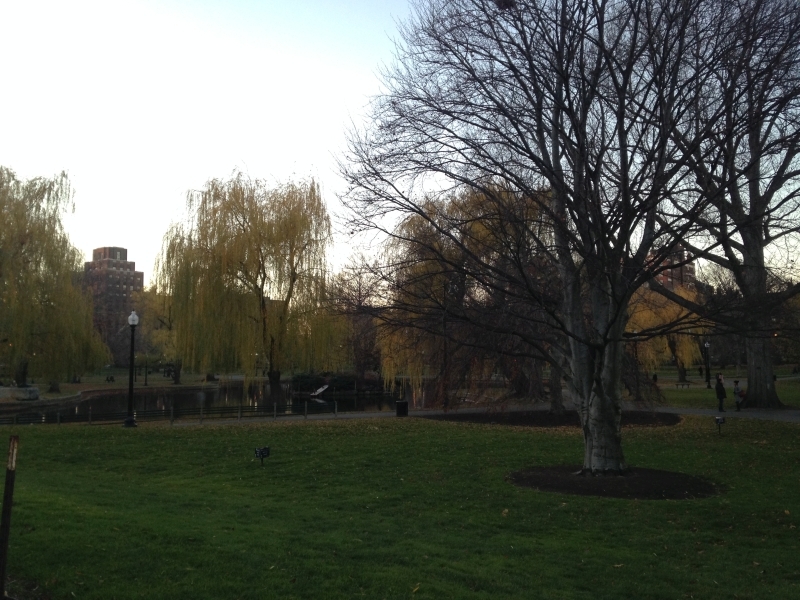 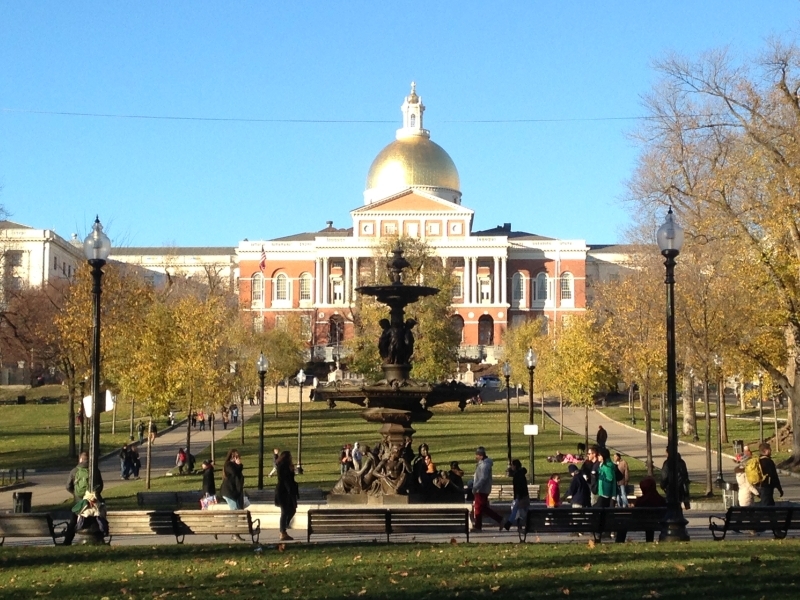 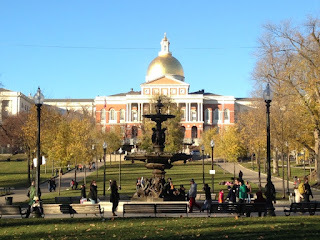 My starting point was again at Boston Common with this view to the beautiful Massachusetts State House. 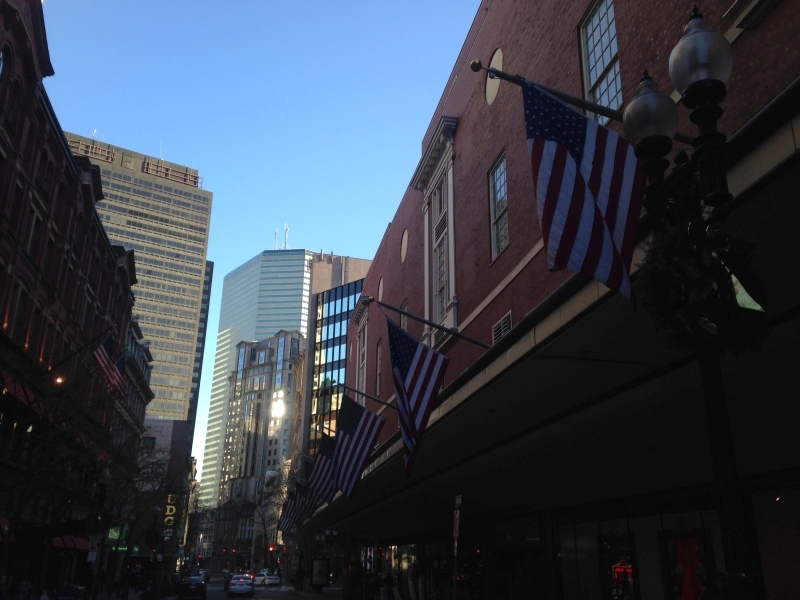 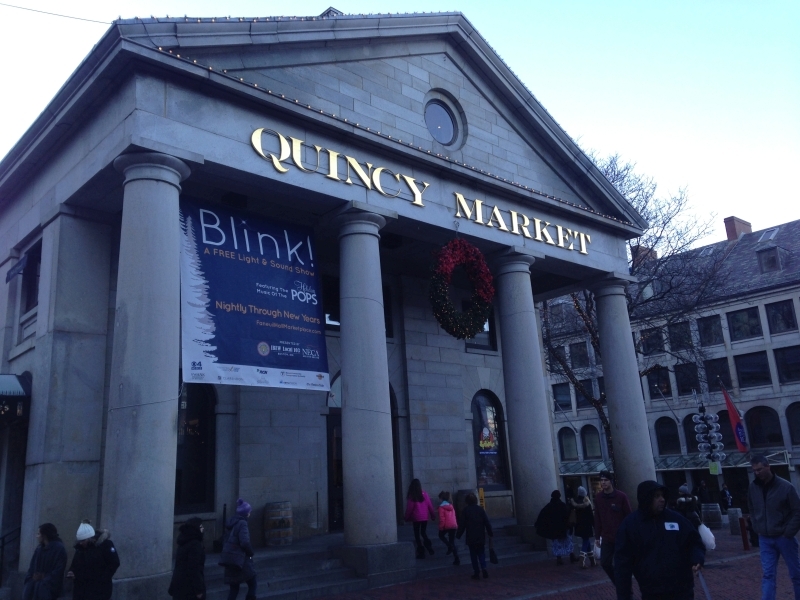 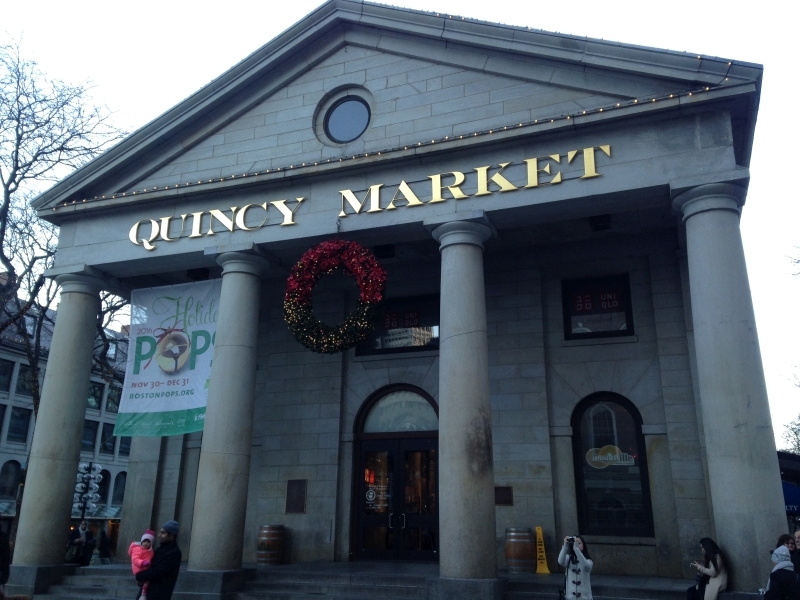 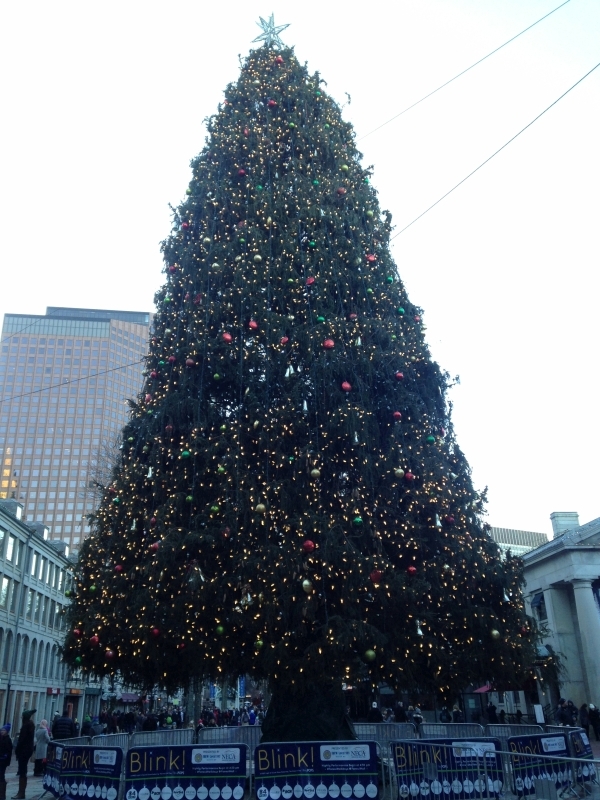 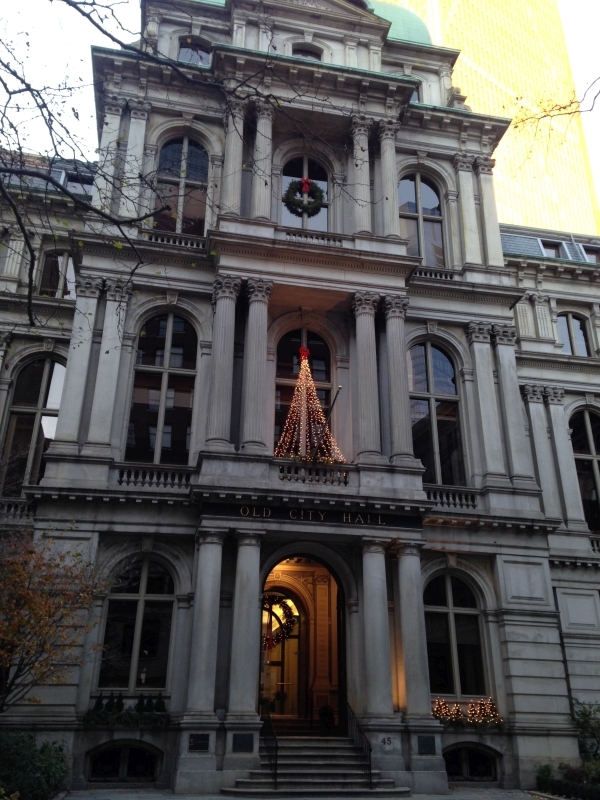 Then I took Winter and Summer Streets through the shopping district of Downtown Crossing. I didn't buy anything actually... 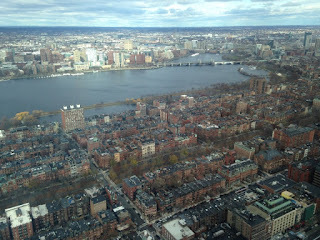 I was just enjoying the city. 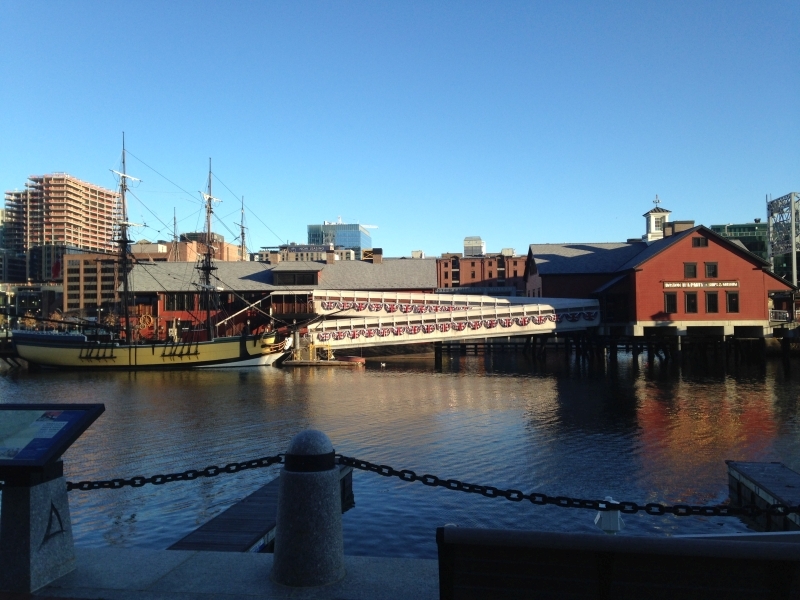 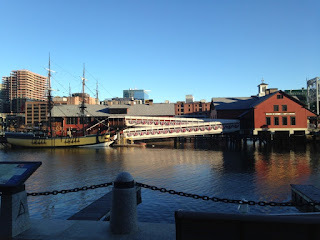 Keeping the same direction and after passing the impressive Federal Reserve Bank building I finally found a view to the Boston Tea Party Ships & Museum. 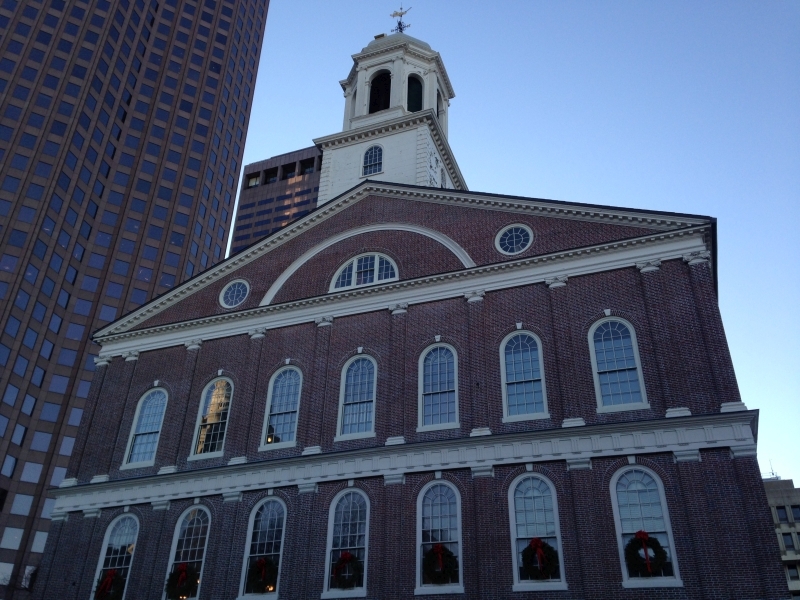 I was happy to get this photo but next time I really want to pay a visit to this museum and absorb more knowledge about this event that was part of the American Revolution that lead to its independence. 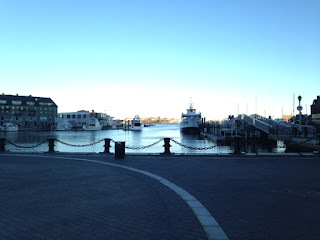 I just didn't have time for everything I still wanted to do this last day. 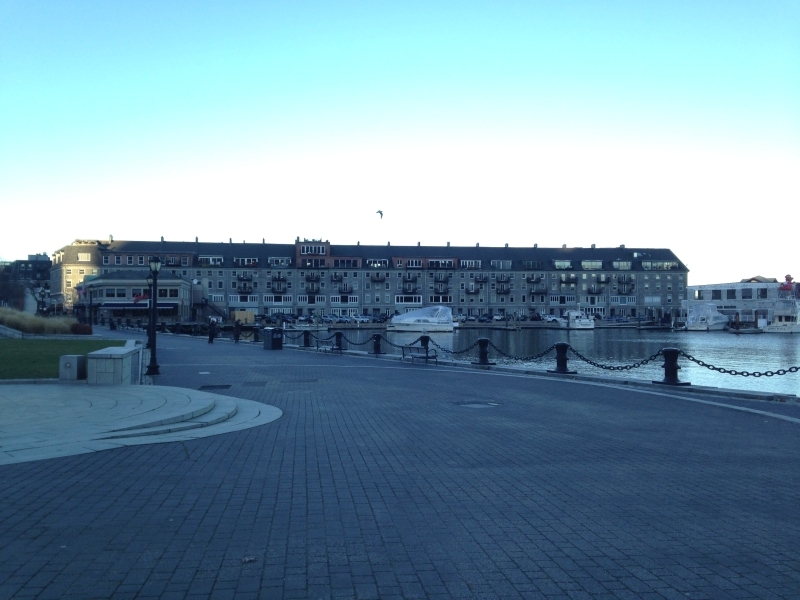 I kept walking along Atlantic Avenue and I finally reached Long Wharf that I already knew from my previous time in Boston. 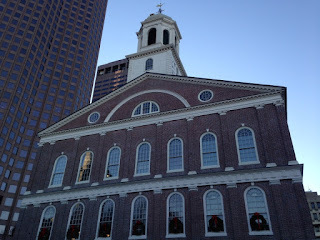 But since I didn't have any pictures to share, this time I spent a few minutes taking some photos. Near the Faneuil Hall we can find Abercrombie & Fitch store and since a good sale was going on, I spent a few minutes looking for something that I liked. Next thing I wanted to do, was to explore part of the famous Freedom Trail. I started at Faneuil Hall taking the Boston Common direction since I had to go back to the Hotel and get some rest before the flight back home. 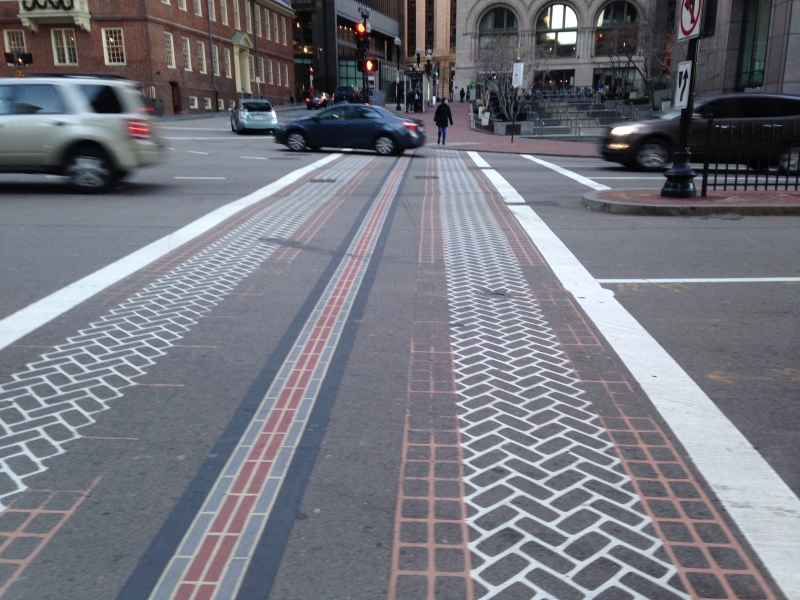 Curious detail: the trail is marked even on pedestrian crossings! 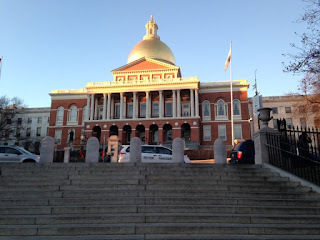 And soon I reached again my starting point of the tour - the new State House. 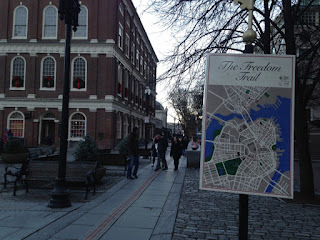 If I have another chance to visit Boston, my intention is to take the other Freedom Trail direction towards Charlestown neighbourhood. Then it was time to appreciate the sunset while crossing the Boston Common towards the hotel. 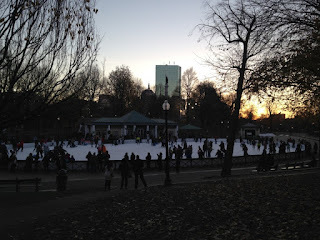 The frozen "Frog Pond" gives place to an ice skating rink during winter months! While the last sunrays illuminated the park, I took the opportunity for a few more photos of this beautiful site. 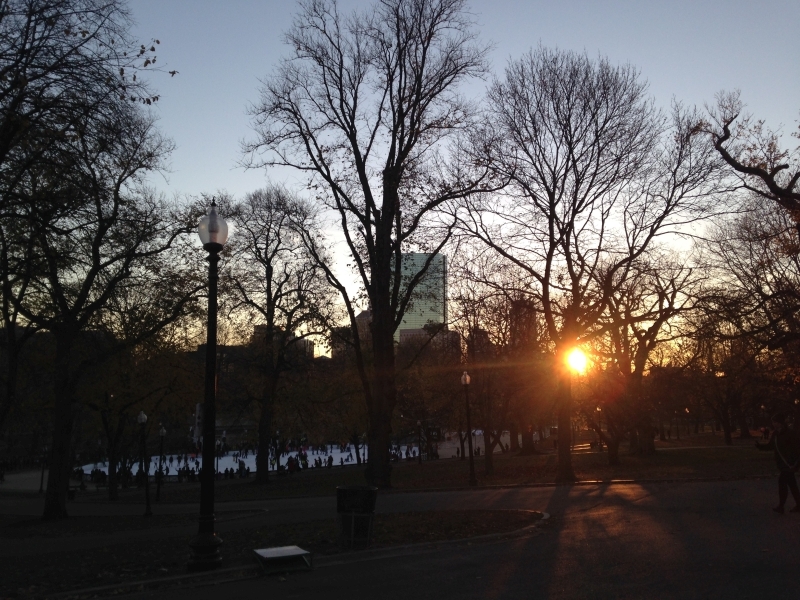 Good things don't last forever and soon it was time to leave. Definitely, I'm in love with this charming city and I still have so much to see and to explore. 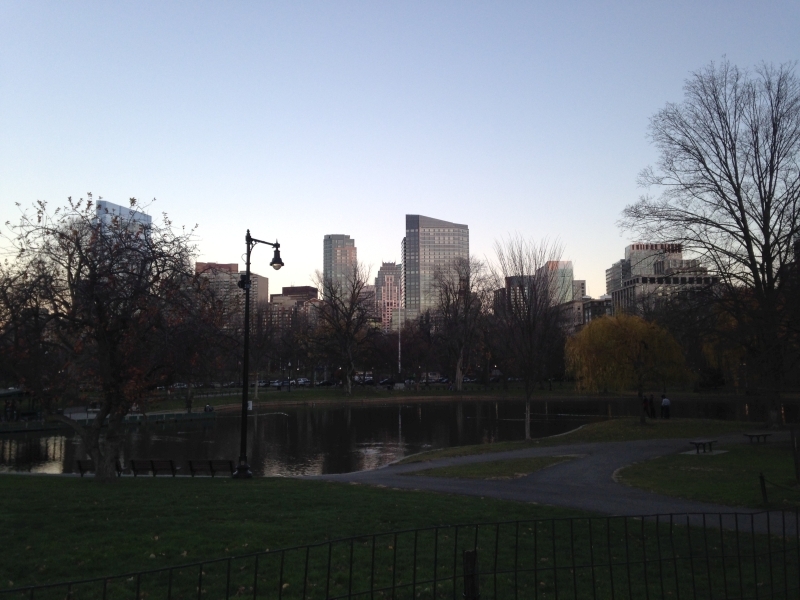 But going back home is also a good thing. 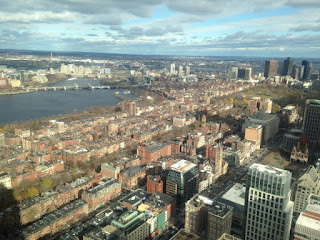 I agree that there's no place like home. 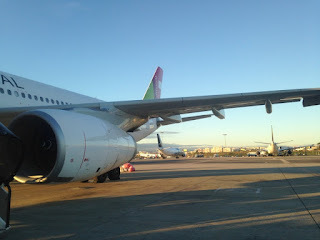 Our "spaceship" assigned for the return flight was the Airbus A330 named after John dos Passos, an American novelist and artist, son of a wealthy lawyer of Portuguese descent.